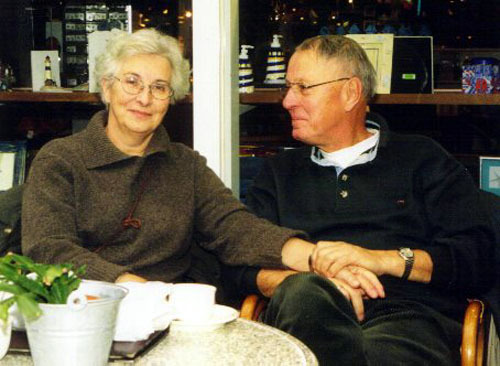 Jan traveled to Holland for an extended visit to spend time with family. To our sorrow, Ben, Jan's stepfather, succumbed to mesothelioma (asbestos cancer) in August, a year after his diagnosis. E.R. trip! : On August 10th, Cameron broke his left arm (radius, near his wrist) while riding his bicycle. He was a champ (and a comedian) in the emergency room! It was a clean break, and he'll have a cast on until mid-September. 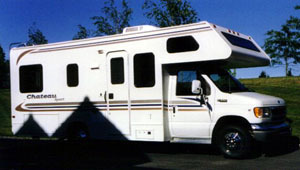 It's not camping, it's chateauing: We bought a 2000 Thor "Chateau Sport," a 24-ft RV. Jan will use it to pull his car trailer to races (we traded in the big, basic truck), and the family will use it for camping and touring vacations. We call it Chateau op Wielen (Castle on Wheels). Hot moves: Amy and Jan are taking a summer salsa class at Living Traditions. Who has time for boredom? : Cameron has been busy this summer, with Skyhawks soccer camp, basketball camp, flag football camp, and UW Day Camp, not to mention mountain camping, the seashore, Wild Waves...whew! On the go: Jan and Amy have plans to travel to Montréal and Quebec City in late August. Racing around...and around: Many of our summer weekends have been taken up with Jan's racing. Visit Family Features to see his race schedule and results. Speed for sale: Jan's green race car is for sale. Details are available.